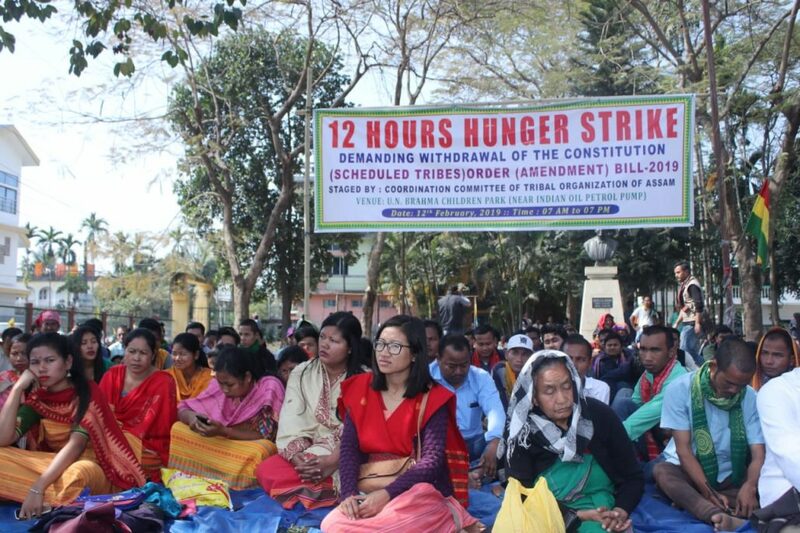 The Coordination Committee of the Tribal Organizations of Assam (CCTOA) on Tuesday carried out a 12 hours hunger strike protest programme against the State and Central Government move to grant Scheduled Tribe (ST) status to six populous and advanced communities of Assam. 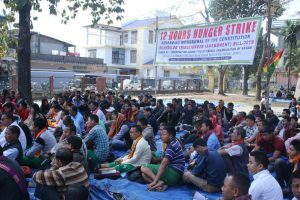 CCTOA has also called for a 12-hour Assam Bandh on Wednesday against the State and Central Governments’ move to grant Scheduled Tribe (ST) status to six communities and demanding withdrawal of the bill. In Kokrajhar, several tribal organizations and students bodies including the All Assam Tribal Sangha, All Rabha Students Union, Garo Students Union, All Bodo Students Union, and People’s Joint Action Committee for Boroland Movement (PJACBM) and others participated in the strike near the Indian Oil Upendra Nath Brahma children park in Kokrajhar main town. Janak Uzir president of the ABSU Kokrajhar district committee and Tribal Sangha leader of the Kokrajhar district committee slamed the Central Government and Assam Government and demanded withdrawal of the six communities’ bills 2019. They demanded that instead of granting ST status to six OBC communities, they should be provided with appropriate and adequate governmental support within their own reservation quota.